Everyone judges a book by its cover! Your ebook will need a cover. 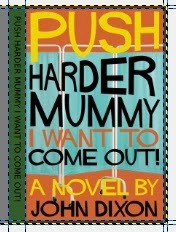 But there are differences in the way the front cover is dealt with in epub and Kindle e-books. This post is about how to generate an html cover for an epub using Sigil. The first thing to have ready is, of course, an image file. If you are making an e-book version of a pre-existing print book, then use the print cover. In the vast majority of cases this will be just a little bit taller and thinner than the e-reader screen, most of which are 800 pixels high and 600 pixels wide. (A popular size for print books is 129 × 198 mm which scales to 800 × 521 px.) If you are making an e-book only edition, then you could use the full 800 × 600. On the other hand, if you have ambitions to bring out the e-book version as a print book sometime down the line, then I would advise you to design the cover graphic in a size appropriate for a print book cover and use that for the e-book only edition. You are then future-proof, should you want to make it into a print book later on. HOWEVER do remember that a print book file will require a 3mm ‘bleed’ for the printer, so build this into your graphic from the start and cut the bleed off the file used for the e-book cover. Now, most e-reader screens are, as I’ve said, 800 pixels by 600 pixels, and have black and white displays. However there are some which are bigger, notably tablets such as the iPad and the Kindle Fire (both of which are colour). So to make sure your cover image will display with the best possible resolution, save the file with MORE than 800 × 600 pixels and also save it as a colour file. If you format the html cover properly, the e-reader will convert it to fit the screen, whatever size it is, and make it greyscale if necessary. I saved the image file as ‘htmlCoverImage.jpg’. An e-book, like a website, uses reflowable text. That is to say the user can change the point size of the text and, when that happens, it FLOWS to fill the available space. This creates certain design difficulties when creating an e-book. As the point size changes, the text RE-flows and the number of words which will fit on a line AND the number of lines which will fit on the screen change. Consequently the ends of lines and ends of pages will vary depending on the point size selected by the user. Your design needs to take account of this. This post is about some issues around styling the reflowable text in the html table of contents in an ebook. The logical table of contents in an e-book is a file called toc.ncx. Sigil generates this for you and I strongly recommend against trying to do it for yourself. The e-reader uses toc.ncx to build a table of contents which is usually displayed by pressing some sort of button on the e-reader or else by selecting a choice from a menu. (See images below) It is quite separate from the html table of contents. Every e-book HAS to contain a logical table of contents, so that an e-reader which is set up to access it (and that is most if not all of them) can do so. Your e-book will FAIL epubcheck and kindlegen if it does not have an ncx table of contents. At its simplest, an e-book will most likely just consist of a linear sequence of chapters. To build the logical table of contents using Sigil, you NEED an <h1> (main heading) tag at the start of each chapter, enclosing the chapter heading. I am going to start with a simple example to show how Sigil uses the <h1> tags to make the logical table of contents. I have replaced unnecessary detail with an ellipsis (…).